It would appear that the Dorset Club has been a bit quiet since May last year. In truth that was not the case just that blogging took a back seat last year. I thought it was time to bring you all a glimpse what had been happening at the our meetings and bring it up to date. 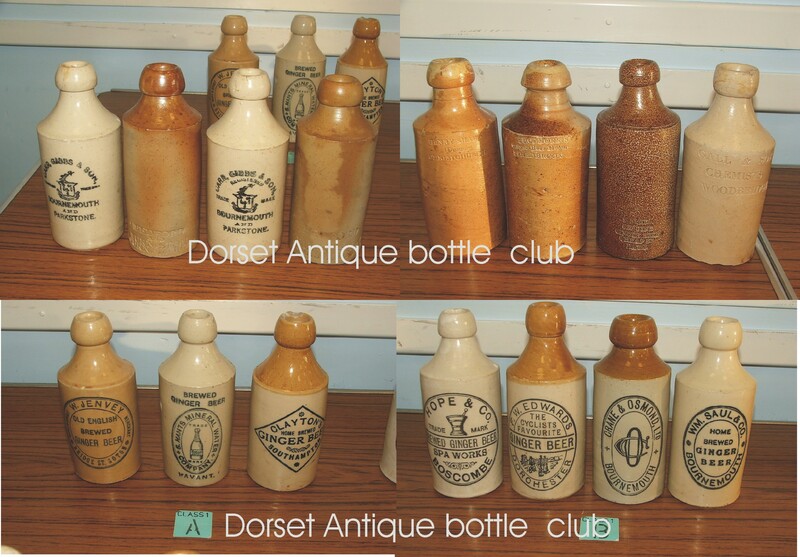 June brought out some nice colored blue green and amber codds in the competitions. Some really scarce/rare local GB’s nice creams. In evidence was some show buys in the best bought. 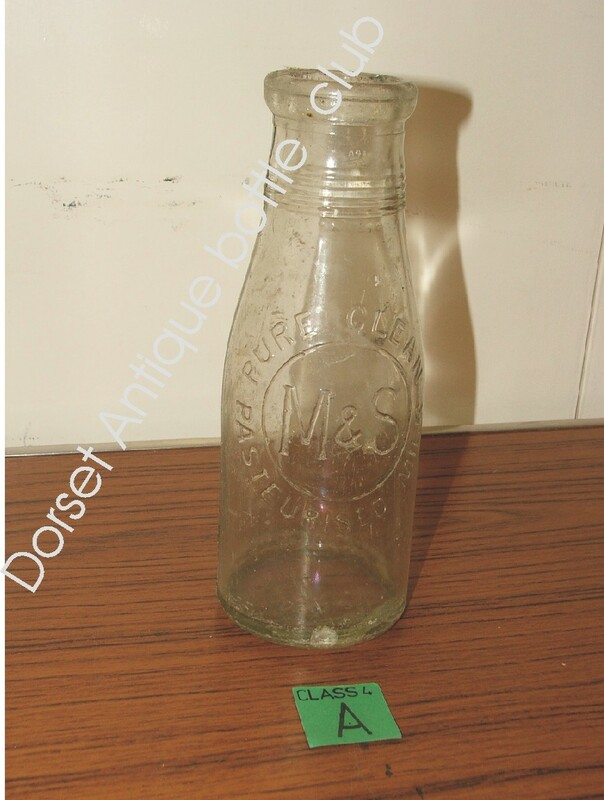 The Hawley & Son Lansdown Bournemouth lard/ cream pot was of note and a Robson Late Cox and Rix Southampton Hybrid. 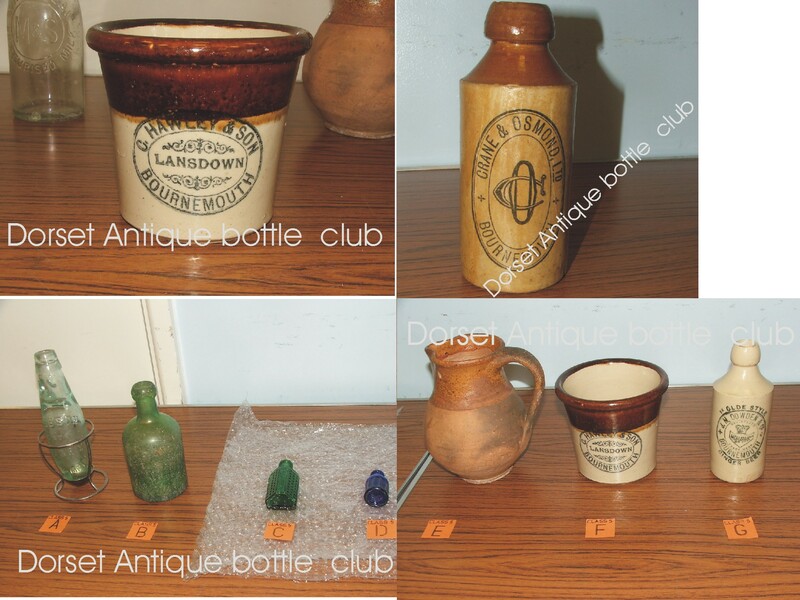 This entry was posted in Ginger beer, Meetings, mineral water, Uncategorized and tagged blue codd, bottle club, Dorset Antique Bottle Club, Ginger beer. Bookmark the permalink.